Please enter the word displayed in the image correctly. The fields marked in bold are the mandatory fields! Our new Hard Line aluminum HollowTech 2-Layer core wheels. Made out of certified 6061 aluminum billet and machined into shape. Hand poured in Holland Urethane according our own developed formulas. 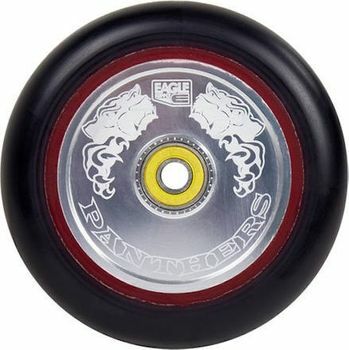 Back are the old model names: Snowballs (raw and white), Panthers (raw and black), Sewercaps (black and grey) and new is the Team wheel (yellow and black). Also back is our unique 2-layer system, often copied but never equalled, what will give the user more rebound and more grip. EACH MODEL HAS A DIFFERENT HARDNESS FOR INDIVIDUAL CHOICES!